* - Indicative Costs only, subject to Vary. Gagan is CEO of Modi Online Ventures. Backed with a Management Degree from one among Top 10 Business Schools in India with Professional Work Experience of over 15 Years including working with Largest Passenger Car Manufacturer and Largest Private Sector Bank in India in capacity of Regional Head. Having passion for Automobiles and Entrepreneurship - ventured Single-Handed in Business in April 2011. At MyCarHelpline - you can get in thousands of reviews, latest information updates which is 100% Unbiased with Personalized assistance through Forum. Yes, your shock ab needs replacement. I have problem in shifting gear to first gear . My clutch plate is in good condition. What is the reason for tight shifting of gear? Hi I have problem in shifting gear to first gear . My clutch plate is in good condition. What is the reason for tight shifting of gear? Hey, I am buying 2011 model swift desire VXi. They said it's driven 47000 km, first owner. Asking 3.5lacs. should I go for it? Also, what would be the cost for entire checkup after buying it?? 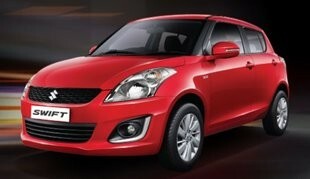 Hey, I am buying 2011 model swift desire VXi. They said it's driven 47000 km, first owner. Asking 3.5lacs. should I go for it? Also, what would be the cost for entire checkup after buying it?? The major service of diesel model is told to be on 70000, is not mentioned here. The details of parts to replace on that time include engine belt, is missing. Hi Please advice whether it is ok to buy 2006 Model in Maruthi Swift & Hyundai i10 or Eon. Which are driven more than 80000 to 1 lakh some are 2 owners. If we can buy what is the price we can alot and after what will the maintance. The recommeded suggestions are not to go for old CAR which is quite old e.g. 2006... the reason behind it is not only performance etc.. but the maintenace cost and availability of the parts in remote areas.... if you are still want to go for used cars then 3 to 4 yrear old car is better... secondly 15yr old car needs re-registration by RTO which is valid for 3 yrs... then after it may not... secondly polution related points... the old models may not be allowed in metros like Mumbai/Delhi etc..
Want to know servicing cost of swift vxi after 37000km. And should I go to Authorize service centre or outside. I didn't put extended warranty for my swift petrol , is it necessary .? I got before an year now I drove around 17k within a year. I suggest no. Don't rush with those words from dealer/ service station. they want their commission, sell warranty to you. You don't have to bother at least for 2 lakh km. from maruthi swift as you have already crossed 17k km. and having no issues. I m using swift vdi, my last service was 10000km. Now in last 1yr only extra 2000km I have completed. Just want to know for my car now service required or not, because as per manual on 20000km servicing required. Kindly update me with full information. I m using swift vdi, my last service was 10000km. Now in last 1yr only extra 2000km I have completed. Just want to know for my car now service required or not, because as per manual on 20000km servicing required. Kindly update me with full information. I have drived my swift diesel ca4 97000 k in 4.4 years. Now co. Person said that you must replace timing chain. It's cost they said me around Rs. 8500/- is it right ? How much kms. Must change the timing chain require ? Can anbody guide about this. My car has done about 1.9k and am running it.As long as there is no extra (more) vibration when the engine started , it's not due for replacement.Normally it was said that keep some paper ( something written) on the dash board . If able to read it after the engine started ( vibrating ) - timing chain replacement not required but unable to read due to vibration - time for replacement.Engine noise will b abnormal if the timing chain life is ending. It is upto ur car condition am using the same and current meter reading is 176k but no issue even i have seen cars with 220k without chain replace. Yes. Better get it changed. If the time chains cuts when you are driving it will cost up to 80K.